Keep your favourite beverage the perfect temperature for up to 9 hours (3 hrs. for hot drinks; 9 hrs. 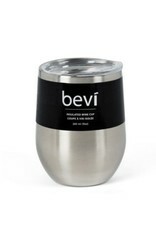 for cold) with the stylishly understated “bevi” insulated wine cup in silver. 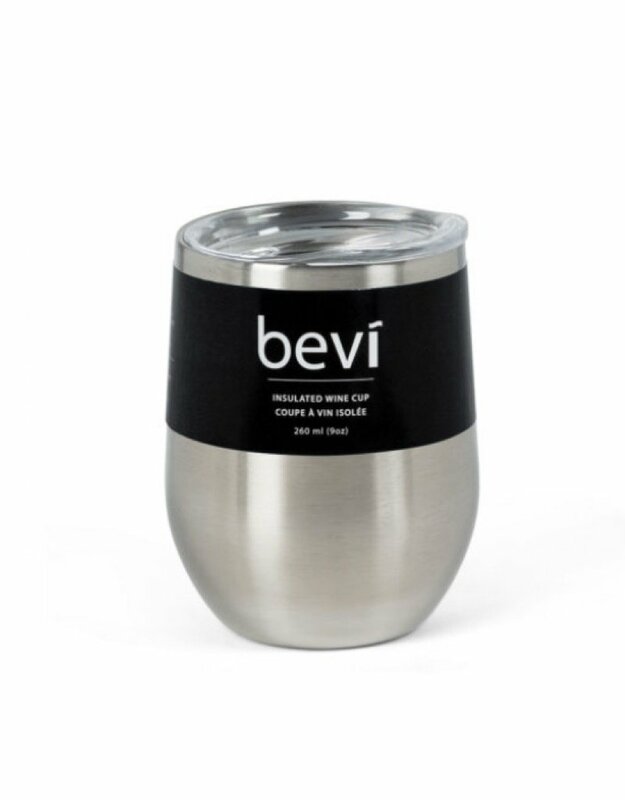 Double-walled and vacuum-sealed, every cup is made of food-grade stainless steel and features a BPA free push-seal lid to keep cold or heat in and bugs out during the summer. Tip resistant and shatterproof. Also available in a variety of other colours.